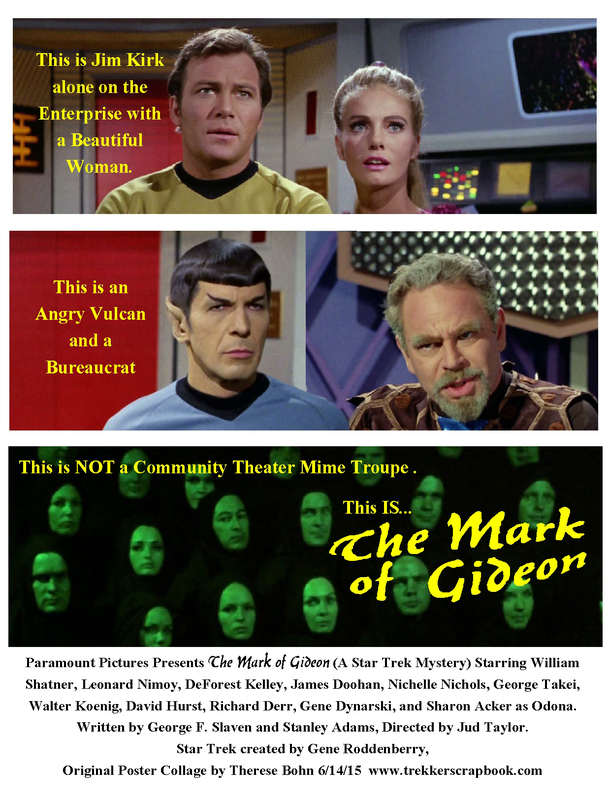 This entry was posted in My Star Trek Posters and tagged Kirk, Odona, silly, Spock, Star Trek, The Mark of Gideon, TOS. Bookmark the permalink. Er, you might want to check the spelling of “bureaucrat,” hon. I became interested in Trek in the 1970s, thanks largely to the animated series. Thanks to Blish’s novelizations, I read a lot of the TOS stories before I ever saw them, including “TMoG”. The “mime troupe” rather creeped me out the first time I saw them. I left an “are” out of the final paragraph, before “moving”.